Indoors, outdoors you name it hot water anywhere! Just provide the water and we’ll heat it up to 185°F with flows up to 13.2 gallons per minute. 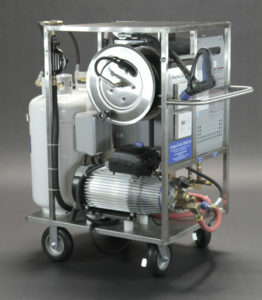 With our pressure washer option, you can enjoy hot water and high pressure up to 2750 psi with flows up to 5.5 gpm. 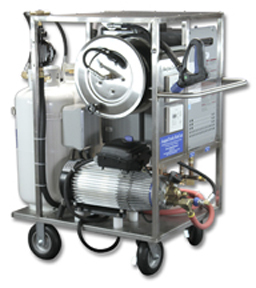 By combining the KEW POSEIDON 7-67 and state of the art “on demand” tankless water heater technology”, AaquaTools has developed possibly the most powerful, energy efficient and cleanest burning portable hot high pressure washer available today. 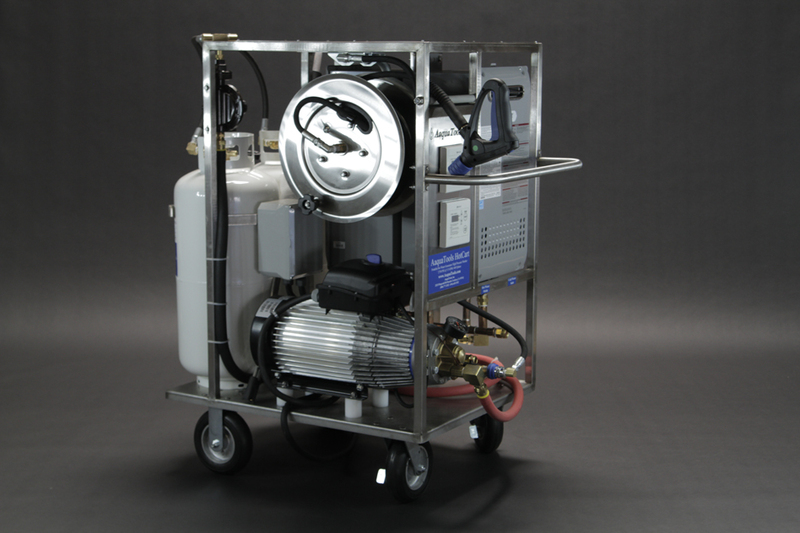 Assembled on a robust, stainless steel cart with locking casters and a 50′ hose reel, the HotCart.